Good music, food, and drinks draw people to summer events in Sioux Falls, but what happens to all the waste being created? According to the City event application and ordinance, event organizers are responsible for providing recycling at Sioux Falls events. Many events like Cinco De Mayo, Jazzfest, Hot Harley Nights, Riverfest, and more have made recycling a priority with the Ecomaniacs, a nonprofit group who picks up litter and promotes recycling. These events recycle 30-50% of their waste on average each year, and have kept almost 100,000 pounds of recyclables out of the landfill since 2012! Event recycling can be confusing with so many different food vendors, but there are a few common items that should always be recycled and some that should not. 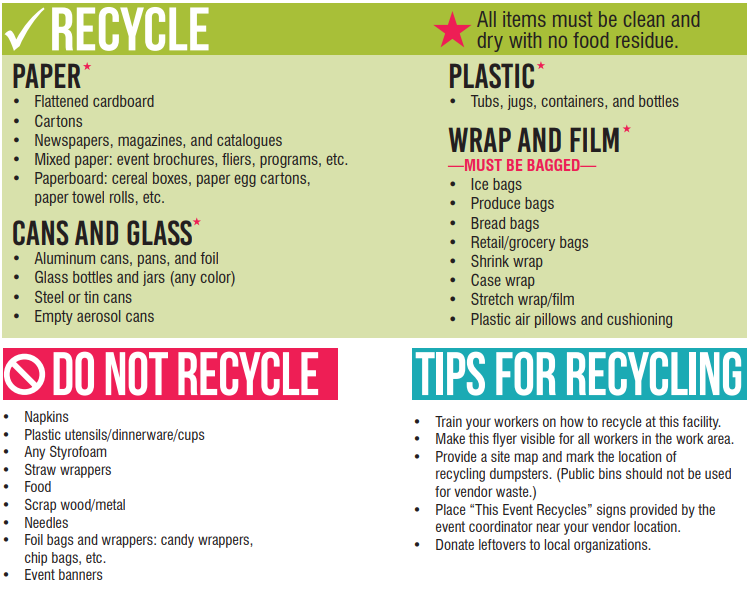 If you notice an event is not recycling, you can help! 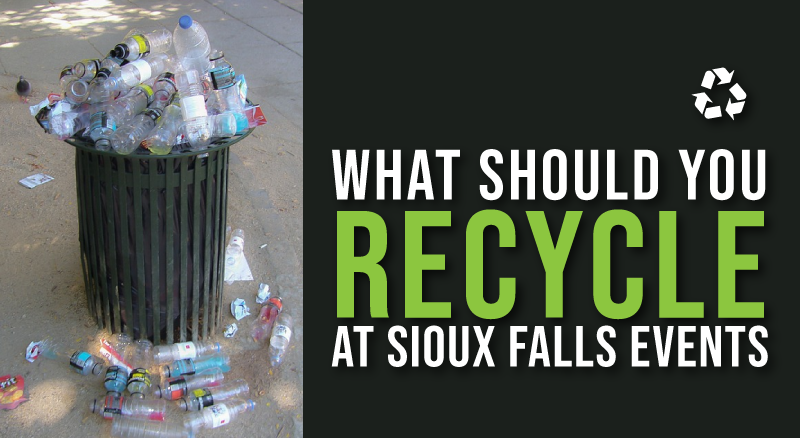 Starting a conversation about event recycling in Sioux Falls is sometimes all it takes to make it happen. Notify the City to let them know you’d like to see recycling there in the future. Are you planning a Sioux Falls event? There are 0 comment. on "Recycling at Events"